While most hammocks are designed simply for rest and relaxation, there are certainly situations in which you want a hammock to be a little more high-performance; to have the ability to contend with the elements and whatever else mother nature might throw at you. If you’re camping in a hammock, you’ll probably want something different than you’d want if you were just lounging on your patio. Of course, hammocks are an excellent, comfortable choice for sleeping outdoors, and many excellent, lightweight hammocks exist for camping purposes. However, many of these hammocks are designed for warm summer nights and don’t offer ideal protection. These hammocks will get the job done in terms of comfort, but if you find yourself in pouring rain or being attacked by insects, you might wish you had the Hennessy Explorer Ultralight Hammock instead! The Hennessy Explorer Ultralight Hammock is a big, comfortable hammock that will let you relax when you want to, and protect you from the elements when you need to be. 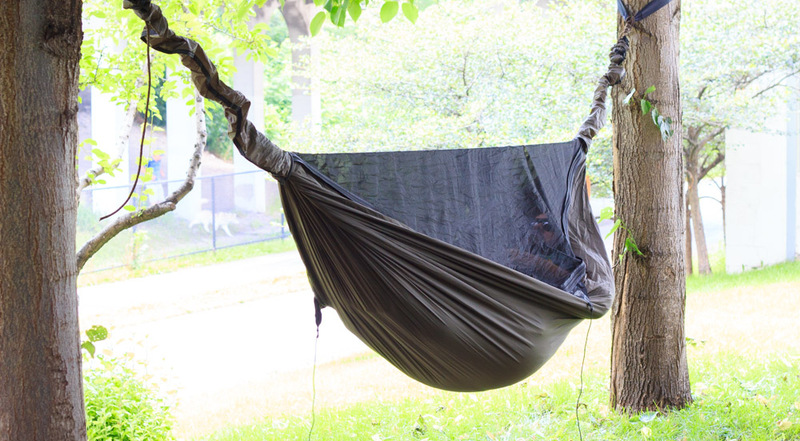 This hammock was designed for use in jungles, and it will shelter you from all of the unpleasant things that such hostile climates can throw your way, including weather, bugs, and more. As far as regular hammocks go, the Explorer is right up there with leaders in comfort; the hammock’s long, broad design can support 250 pounds, and can accommodate people well over six feet tall. Hennessy uses a patented asymmetrical shape with a diagonal axis in their designs, giving their hammocks extended length, width, and a larger area to lay back in, ensuring that you have plenty of room to lounge. Of course, what sets the Hennessy Explorer Ultralight Hammock apart is its performance in adverse conditions. The hammock is rated to 40 degrees Fahrenheit, so it will keep you warm on cooler nights, and it comes with a completely waterproof rainfly that is designed to keep you totally dry. A double-sided, heat-insulated pad also comes with the Explorer, giving you added warmth in chilly conditions. The Hennessy Explorer Ultralight Hammock also protects excellently against any bugs you might encounter in the outdoors. The patented entry system allows you to enter through the bottom, and velcro the opening behind you. Then, integrated mesh panels keep insects at bay while you can fully zip up the double-layered nylon ripstop to ensure you are as protected as possible – although that can get a little hot. As the name implies, the Hennessy Explorer Ultralight Hammock is also incredibly light, weighing just 2 pounds, 7 ounces when packed down. The setup does require basic knot-tying skills, but other than that, it is incredibly easy to set up and break down, taking just a few minutes. 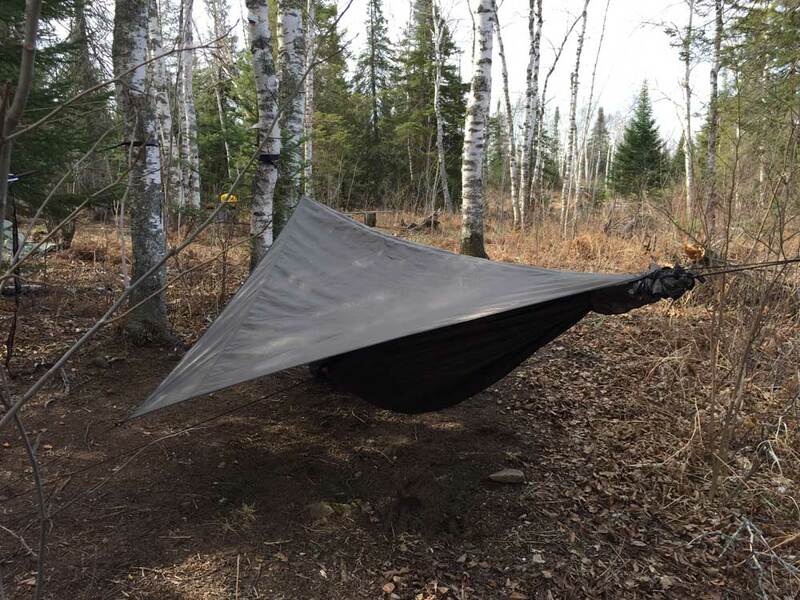 All in all, the Hennessy Explorer Ultralight Hammock is an excellent, durable hammock that can handle all conditions except freezing cold. Make sure to look into this hammock if you need a high-performance, comfortable sleep system.